With the emergence of the Harvey Weinstein debacle and the sexual harassment #metoo hashtag spreading like wildfire across social media, the world is once again reminded that children, women, and men, risk falling prey to sexual predators every day. They are your uncles, cousins, neighbours and family friends. And they are everywhere. Did you know that children who have experienced sexual or physical abuse, trauma, divorce, neglect or a parent with mental or substance disorders, are more likely to suffer from ill health plus behavioural and social problems? The link between Adverse Childhood Experiences (known as ACEs) and the likelihood of these myriad issues manifesting later in life, was first discovered in the mid-90s in a research study conducted by American health maintenance organisation Kaiser Permanente and the Centers for Disease Control and Prevention. In the 1980s, Kaiser Permanente’s California obesity clinic had a dropout rate of 50% despite all participants losing weight under the programme. When people who had left the clinic were interviewed, it was found that a vast majority of the almost 300 people had experienced childhood sexual abuse. The findings suggested that overeating could be a symptom or coping mechanism for the depression, fear and anxiety caused by abuse. It was these results that pathed the way for a more extensive study of the link between childhood stressors and bad health. All the people surveyed for childhood trauma experiences had jobs and good health care, while 75,2% had a college education. In other words, the findings were not linked to poverty. In a nutshell, the completed study found that the stress caused by trauma triggers the body’s fight, flight or freeze response. When the stress is chronic (long-term), the ever-present stress hormones create a toxic environment for a child’s developing systems. The impacts are seen in the development of the neurological and endocrine systems, eventually compromising the immune systems and increasing the speed of disease and ageing. When considering that many people suffer more than one of these 10 traumas and you’ll see that affect compounded. Examining the link between childhood trauma and overeating requires us to approach weight issues from a different angle. Were you born at a normal weight? 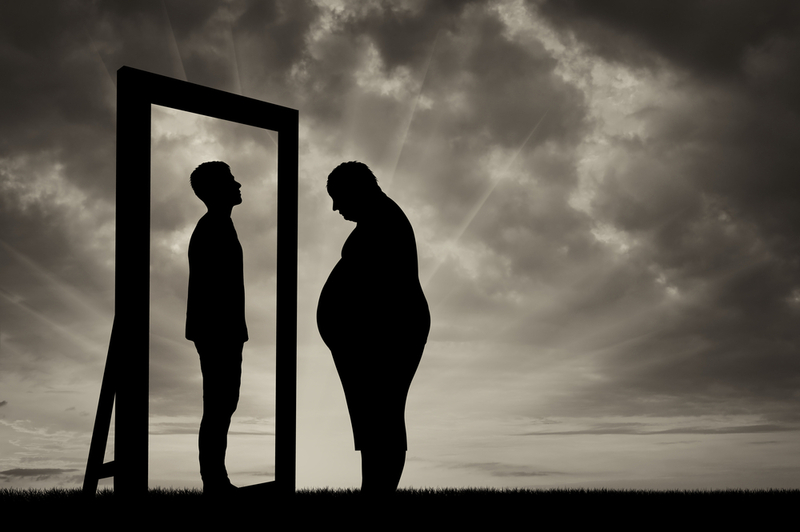 Did a childhood trauma trigger a massive weight gain? Did your weight then stabilise? If you began eating as a way of comforting yourself; as a solution to your unhappiness and stress; or to make yourself seem undesirable to potential predators; then all the information in the world about the negative health implications of obesity aren’t going to change the way you eat. Change needs to start with recovering from the trauma as well as the way you react to stress. It starts by exploring the relationship you have with food and changing your associations of food as the answer to your problems and the comfort to your unhappiness. The health implications that come with being overweight due to adverse childhood experiences can’t be tackled with will-power, diet and exercise. They must be tackled by dealing with the trauma directly. I use the Rapid Transformational Therapy, pioneered by Marisa Peer, to help my patients lose weight. Have you ever had a bad food experience, such a food poisoning? Wouldn’t you say you are no longer interested in eating that food? By changing the habit of thought you can change the habit of action forever. Reprogramming the way you think about food – rather than using diet pills to suppress your appetite or a strict eating programme that simply restricts what goes into your mouth – will free you from a lifetime of bad food habits. If you’d like to get to the heart of your weight gain and begin your journey towards wellness, book a free discovery call with me today!